To cap off our assessment-filled week, we met with Apollo. 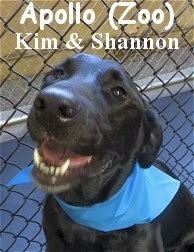 He is a handsome, four year old, eighty-eight pound, Black Labrador Retriever. Apollo tried The Fort's Big Roll on for size. There, he did a fine job getting to know the pack. Apollo greeted several different canines, and he seems to speak pretty good "DOG". Towards the end of his stay, Apollo decided to bust out into a little play with Fort Fido regular Theodore. The two got along well, but unfortunately we were unable to get a solid clip of their interaction... It happened so fast and unexpectedly lol. All in all, Apollo is welcome to stay with us whenever his owners would like. We expect to see more play and "good times" out of this admirable dog. Nice job Apollo, we'll see ya around soon. We were certainly "busy beavers" this morning... Fort Fido welcomed three newcomers in for their assessments! Get to know the mini-pack that is Maye Maye, Milo, and Otis. 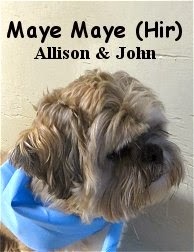 Maye Maye is a six year old, twenty pound, beige and white colored, Lhasa Apso/Cocker Spaniel Mix. She did well upstairs, in the Little Roll, and seemed to dig the experience. Maye Maye's a smart canine that reminds us a bit of Fort regular, Mimi. 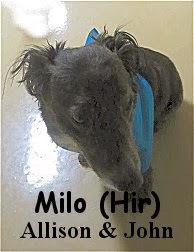 Milo is a five year old, twenty-five pound, brindle marked, Dachshund Mix. He's a sharp looking dog that also did a good job here today, with his "sister" Maye Maye, in the Little Roll. Milo was very watchful over his "mini-pack" members. He too, enjoyed his stay. 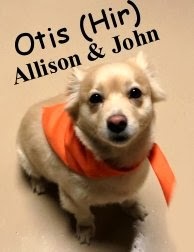 Last but certainly not least, was Otis. He is a five year old, thirty-two pound, beige colored, Pomeranian Mix. Now Otis seemed to have the most "big brother" energy, out of the trio. He watched over his "siblings", as a big brother traditionally would. He socialized well, and was quite eager to meet with incoming pack members. Although none of the three dogs played too much, as it can be a lot to take in on a first day... Otis, was definitely the most active. He frolicked and meandered about the Little Roll play area in high spirits. Maye Maye, Milo, and Otis are welcome to come back to Fort Fido anytime. We plan on meeting with them again soon. This isn't too "action packed", but in the following clip, you can spot each member of the "trio". P.S. Milo, his name is pronounced M-Y-L-O-W, not to be confused with M-E-E-L-O-W lol! Just like the "Milo" from one of my favorite pet-movies. I just scored some really fun clips of Fort regulars, Lucky and Max, involved in play. Their combined play-styles make for a fast, furious, and high-energy show. The two have known each other for a few months, but haven't engaged quite this much until recently... Maybe it has something to do with Lucky's stylin, new, aerodynamic haircut? Or maybe it's the fact that Max missed a week of daycare? Hahaha, I think both of those things factor in. This morning we had two cute and lively little rascals in for their Assessment Day. Meet Katie and Barclay! 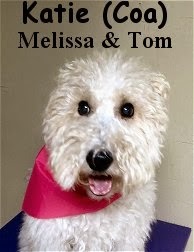 Katie is a sweet, four year old, eighteen pound, white, black, and brown colored, Wirehaired Fox Terrier. She stayed with us in The Little Roll, and did a fine job socializing with our pack. Although not quite as outgoing as her "brother" Barclay, Katie, appeared to be "in the groove" and comfortable during her stay. 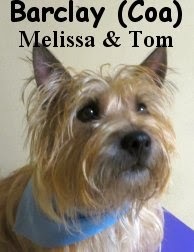 Barclay is a three year old, twenty-two pound, wheat colored, Cairn Terrier. He marched up to the Little Roll, along with his "sister" Katie, and also did a first rate job of palling around with the other canines. Barclay hints at being slightly more lively than Katie, and seemed to play a bit more than her. He even did some one-on-one play with other pooches. Being Dog Daycare regulars, Katie and Barclay are used to, and enjoy, the daycare experience. Today, Katie and Barclay met about a dozen of similar-sized dogs, of various ages and play-styles. The two had a delightful first visit and we are enthusiastic bout their return. In the following clip, you can spot Katie and Barclay amidst the action. Went, not "up the hill", but upstairs to the Little Roll lol. That is where they had their assessments early this morning. 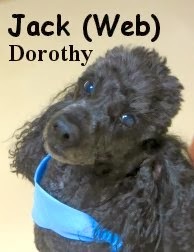 Jack is a eight year old, twenty-two pound, black colored, Miniature Poodle. 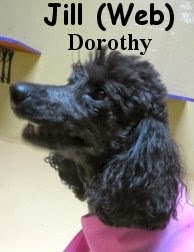 His littermate-sister, Jill, is an eight year old, eighteen pound, black and white colored, Miniature Poodle. Both Jack and Jill did a good job here today at Fort Fido. They weren't quite sure what to think of the place at first, but after a while, they settled in nicely. These very comely canines socialized decently, and have been around other dogs many times before. There wasn't too much play out of the "mature" Jack and Jill, however they seemed to enjoy their visit with the pack. We will most certainly allow Jack and Jill to come to The Fort anytime. This morn we had Lexi in for her assessment. 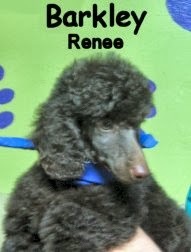 She is a five year old, eighteen pound, chocolate colored, Miniature Poodle. Lexi is a very good looking dog, and it is almost as if she could be related to Medium Roll Regular, Barkley. She hung out upstairs in The Fort's Little Roll. Lexi didn't do half bad here today, she frolicked a bit, and met with a few different canines. Lexi wasn't really into playing, however, she was very comfortable with the Dog Daycare environment. We may not see Lexi a whole heck of a lot, but we shall be seeing her for a Overnight Boarding stay sometime down the road. Lexi and Barkley are only a few months apart in age, darn close, and almost close enough for me to say "separated at birth", but not quite lol. Keep in mind, this is Barkley's baby-badge-picture, he's only three months old in this shot. Today we assessed two very striking dogs from the same family. Meet Bear and Kaya. 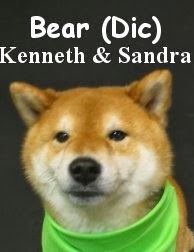 Bear is a fuzzy, seven year old, twenty-seven pound, red and white colored, Shiba Inu. This "grizzly" dude is quite photogenic. He hung out with his "sister" Kaya in our Medium Roll. Bear truly lived up to his Spitz ancestry, with his exotic-good-looks and spirited demeanor. Bear played a tiny bit with Fort regular Jack. 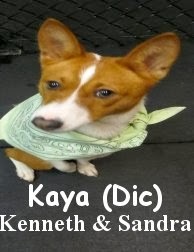 Kaya is a spunky, two year old, twenty pound, red and white colored, Basenji. Now, like the Shiba Inus, these Basenjis are also really fascinating, and exotic looking dogs. Otherwise know as the "African Barkless Dog", they have several monikers. Kaya, was no exception to the great breed, with her alertness and curiosity, she strutted into the play area confidently. Although she didn't "play" much, she was quite active in meeting and greeting with the other pack members. Both Bear and Kaya are welcome to stay at Fort Fido. We look forward to caring for them during a future Overnight Boarding visit. Here, you can spot Bear and Kaya getting to know Jack. The Copper & Zoey Duo! Yesterday morning, we had two choice dog-gals in for their assessments... Copper and Zoey! 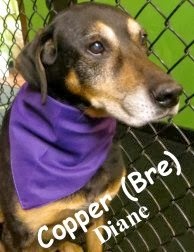 Copper is a thirteen year old, sixty-eight pound, black and brown colored, Doberman Pinscher Mix. 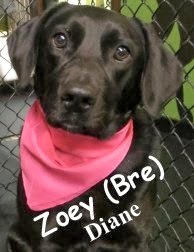 Zoey, is a two year old, sixty pound, black, English Labrador Retriever. We had these two "sisters" stay with us in our Big Roll. Copper did a swell job amongst the group. Being the eldest of The Roll, she didn't play a whole lot, which was more or less expected of her. Copper did however, meet and greet with a few different dogs, in a polite and mature manner. Copper pretty much just hung out, yet seemed very content with the situation. Now Zoey on the other hand, was all about having fun and getting a wee-bit rowdy. She spoke good "DOG", socializing her way into vigorous play. Zoey had a splendid time at The Fort. She played hard with several different dogs, including Fort Fido regular, Zipper. Both Copper and Zoey are welcome back here anytime, they are quite suitable for our pack. We plan on seeing them soon for an Overnight Boarding stay. Here is a excellent little clip of Zoey and Zipper getting to know one another. Meet Rufus! 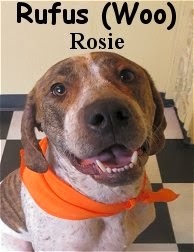 He is a three year old, eighty pound, Tick Hound Mix, that had his assessment this last Saturday. Now Rufus did absolutely superb. He is a wonderful dog, with a great attitude. Rufus is extremely fluent in "Dog Speak", and showed off his canine-communication-skills with ease. He has attended Dog Daycare before, so fitting in with the pack at Fort Fido was not a problem. Throughout the day, Rufus exhibited solid and fair play. He "jammed" with several different dogs, including Diego, which became one of his favorites. Rufus, you are welcome to stop by The Fort anytime, and we certainly hope that you do! Here's Rufus & Diego, playing well together in the Big Roll. Feast your eyes on this fine specimen, Haley. She came into The Fort this morning, bright-eyed and bushy-tailed, for her assessment. This darn cute, four month old, forty pound, German Shepherd Mix, is fun and full of energy. Her "Uncle", Sammy, is a Medium Roll Regular. The twosome, frequent the local dog parks, and routinely have a blast at them. Luckily for us, Sammy has been helping Haley learn how to play, socialize, and speak good "Dog". It most definitely shows, because Haley did an outstanding job here today, acting as if she had already been here many times before. She is welcome to come back to Fort Fido anytime. Take a gander at these two clips of Haley, playing with Georgie and Molly. Please excuse the contrast, it's hard to see Black Lab Pup Molly against our dark colored floor lol. Checkout the new chalkboard we got up in our lobby. It displays all of our current rates and services... It's been a long time coming, we should have had this baby up years ago to avoid any "confusion" haha. In other happenings around The Fort, and in video, we have three hits from "The Captain", a funny one of Kingsley and Theodore, and, a cute clip of Rusty and Tucker playing. With the cold and stormy weather we've been having around here lately, some dogs really enjoy a little extra "warmth" around them. Sure, you could always purchase a dog sweater, or four little waterproof booties, but why not make them yourself? If you are feeling ambitious, and or know anything about sewing stuff. Checkout this really fun Youtube tutorial I found awhile back. "Steve The Daschund" has a really cool owner that whips him up a homemade dog sweater, and some DIY booties. Too cool, check it out even if you aren't gonna make anything, it's just cute lol. Two years later, he's still rocking the well-made sweater. It sure is amazing what crafty-folk can do. It's also wonderful when they take the time, to share their efforts with the world online. This morning we had the pleasure of assessing Jasper and JoJo. These neat pooches, from the same family, gave The Fort a go and did well. 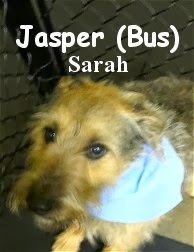 Jasper, is a cool-looking, four year old, forty pound, Schnauzer Mix. He entered our Medium Roll with his tail wagging, and it became clear early on that Jasper has socialized with dogs before. Although he didn't play a whole heck of a lot, he seemed fairly comfortable spending time with the pack. He "barked dogs off", when not wanting to play, and exhibited very good bite control. Jasper even had a little "play moment", with Medium Roll regular Emmett. 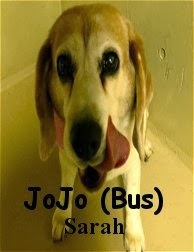 Jasper's "older sister", JoJo, is a kind, thirteen year old, thirty pound, Beagle. This mature gal, stayed with us in our Little Roll. Up there, JoJo was calm and at peace, she didn't have to worry about many younger or larger dogs bumping into her, or agitating her. JoJo pretty much just lounged around, and also meandered a bit. She really did great for an older canine, not minding the few rowdy, young, whippersnappers that she did cross paths with. Both Jasper and JoJo are welcome to visit Fort Fido any time they'd like. We hope to see them here again soon. Eleanor came into The Fort for her assessment this morning. 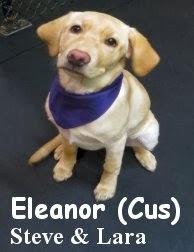 She is a spunky, five month old, forty pound, Yellow Labrador Retriever. Eleanor tried our Medium Roll on for size. Once there, she socialized well with an array of different pack members. Eleanor played with several different dogs, and had a wonderful time here today. This sweet pup is welcome to attend Fort Fido anytime. Checkout some video of Eleanor having a great time with Lucky. Get a load of Molly! 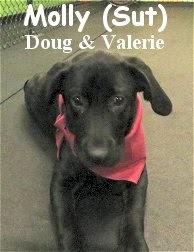 She is a fun-loving, six month old, thirty pound, Black Labrador Retriever, that assessed this morning. 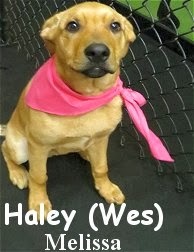 Molly is a very cute, wiggly, energy-filled Lab Pup, that is up for anything. Upon entering our Medium Roll, she seemed to know that "good times" were in store for her. Molly is learning to speak "good dog", and her studies are coming along nicely. She socialized a lot today, even getting into some high-paced play with Olive, Lucky, and Mac, amongst several others. All in all, Molly fits in quite well to Fort Fido's pack. She is welcome anytime, and we hope to see her again in the near future. And here she is again with "brother from another mother" Cooper. Checkout some of the sweet new toys and products that just came into The Fort! We have some really awesome stuff from KONG. They now have many more good "interactive toys", to help keep the canine-brain stimulated. Some you can stuff with wet food or peanut butter, while others are to be used with dry kibble. Another cool thing KONG now has, is a frog squeaker toy that really lasts... At least compared to other squeaker toys we've come across. There is also a real neat new line of poop bags and poop bag carries. One of the smartest products we have in now, is an all-in-one food bag clip/measuring cup. The same brand, DEXAS, also have a very clever collapsible bowl. Last but not least, Cortez, is selling a tremendously good canine oral hygiene spray. It is really neat stuff made by PetzLife. "Corty" has even gotten Gibson and Marco Polo to try it. It freshens breath, while also keeping teeth and gums healthy. It's even safe for humans lol! Made in the USA and Veterinarian recommended. No just for fun, here's a rad clip, taken today, of the "Handy Man" in action in the Little Roll. Meet Chowder! He is a five year old, thirty pound, Welsh Corgi Mixed Breed, that had his assessment this morning. 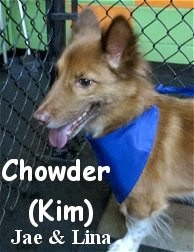 A very striking dog, Chowder, could be a mixture of several different dogs... Certainly, some type of Corgi (be it Pembroke or Cardigan) is in there, and maybe Miniature Australian Shepherd, or a little Australian Cattle Dog, there could even be a smidgen of Shetland Sheepdog in there somewhere. Without a DNA Test, who knows, but it's sure fun to make guesses. Chowder stayed with us today in our Medium Roll. A dog park regular, Chowder isn't a stranger to meeting other canines. He met several different pack members this morning, and was curious about his new surroundings. Although we didn't see too much "play" out of Chowder, he certainly had the opportunity. He seemingly enjoyed his experience here, and displayed some decent canine communication skills. Given time and consistency, we believe Chowder will eventually bust out into some play here at The Fort. For now, he's quite welcome to attend anytime. Swell job today Chowder, we'll see you again real soon! In case you missed them, here are some of the hilarious canine related Super Bowl commercials, that aired last Sunday during the game. Once again, dogs, were the highlight of the Super Bowl advertisements. Audi's "Doberhuaha" was a crackup! Doritos' "Cowboy Kid" was my favorite! 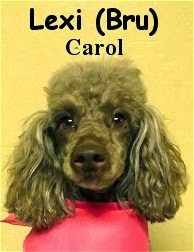 CarMax's "Slow Bark" was a cute one. There was also this quite memorable Subaru commercial. And last but not least, a re-post of everyone's favorite one, Budweiser's "Puppy Love". Way to go Seahawks, so well deserved, and so well done! Meet Quinn! He is a one year old, sixty-two pound, Golden Retriever and Poodle Mixed Breed. Quinn had his assessment bright and early this morning, in The Fort's Big Roll. Quite the social-butterfly, Quinn took to the pack with ease. He frequents the dog park, and has attended Dog Daycare several times before, it's clear that he has been socialized properly. 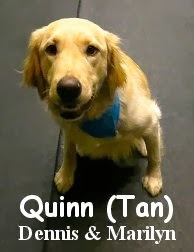 Quinn did a first-rate job here today at Fort Fido, he'll be a pleasure to have amongst our ranks. Take a look at these cool clips of Quinn having a good-old-time with Chance, Shadow, and Theodore.